Oceania Cruises S. de R.L. *Offers and fares expire 9/30/19. Visit OceaniaCruises.com for current pricing. All fares are per person in U.S. dollars, valid for residents of United States and Canada, based on double occupancy (unless otherwise noted), for new bookings only and may be withdrawn at any time. Cruise-Only pricing does not include OLife Choice or Airfare. Oceania Cruises voyages calling on Cuba fully comply with the existing U.S. Federal Regulations and the most recent pronouncements from the Office of Foreign Assets Control (“OFAC”) of the U.S. Department of the Treasury. Please see our website for additional visa and documentation requirements. Oceania Cruises reserves the right to correct errors or omissions and to change any and all fares, fees, promotions and surcharges at any time. For full promotion terms, visit https://www.oceaniacruises.com/legal/promotion-terms/. Ships’ Registry: Marshall Islands. Why am I getting this? Baxter Media is Canada’s largest and most authoritative source of news and information for the travel and tourism industry. This email was sent as you have subscribed to our TravelBlasts® notifications at travelpress.com. TravelBlasts® notifications are intended for travel professionals keeping you informed about the latest fams & travel promotions available. If you would like to stop receiving TravelBlasts®, you can update your profile or unsubscribe here to be removed from this list. Club Med launches a great incentive on SIREV bookings! Book your clients’ captivating Russian journey along the Volga river in 2020! Russia river cruise departures for 2020 are now available to book! This exciting journey from St. Petersburg to Moscow on board a traditional Russian river cruise ship, MS Rossia, will take your clients through a kaleidoscope of landscapes, monuments and architecture as stunning and diverse as the country is vast. There is no better way to explore the world’s largest country than from the longest river in Europe. Take in all that is Russia with our generous inclusions and Exceptional EmeraldVALUE! From the mighty Volga river, discover big city boulevards, ancient folk communities, and fascinating UNESCO World Heritage-Listed locations over 12 insightful days. Download our new brochure online or order a print copy to learn all about life on board our Russian river cruise, exceptional inclusions, and fascinating destinations. For all inquiries, call us on 855 337 1490 or visit emeraldwaterways.ca. 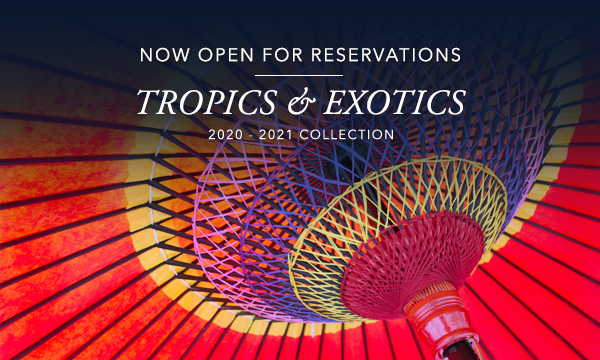 *Terms and Conditions: Offers are valid for new 2020 Russia bookings only and are non-transferable. Fly Free or receive $1,250 air credit per person in lieu of flights. Offers valid from April 15 – September 30, 2019 only or until sold out. Launch Bonus – save additional $150 off per person if booked between April 15-June 15, 2019. A secondary non–refundable deposit of $1,500 per person is due prior to air ticketing. Max amount for ticket is up to $1,500 per person. Emerald Waterways reserves the right to ticket the airfare upon receipt of deposit. Economy Air only on Emerald Waterways choice of airlines from specific Canadian gateways: YHZ, YYZ, YOW, YUL, YQR, YXE, YWG, YEG, YYC, YVR, YYJ, & YLW. All other gateways receive air credit savings. Pricing listed in Canadian dollars, based on double occupancy and based on lowest cabin category available. Availability is limited and subject to change. Port charges and taxes are included in the price. Offer may be changed, cancelled or withdrawn at any time without notice. A non-refundable deposit of 20% of the cruise price is required within 48hrs of booking with full non-refundable payment required by 190 days prior to departure date. This offer is not combinable with any other offer except travel show voucher. For full terms and conditions visit emeraldwaterways.ca. Summer Superbia is back, and you won't want to miss it. We'll feature pool parties & bar and restaurant takeovers by chefs from Michelin starred and 5-star diamond awarded restaurants. With so much indulgence, UNICO 20°87° is the place to be this summer. Book your package trip to UNICO 20°87° now through May 31, 2019 for travel between June 03 and September 30, 2019, and you’ll receive up to 49% off your stay. Summer will be here before you know it. Relaxing spa treatments. Championship golf. A day spent exploring ancient ruins and purifying cenotes. For a 25% service fee, these one-of-a-kind activities and more are all part of your experience. All of the hotel accommodations feature a local host, available to provide an added level of personalized service. Terms & Conditions: Applicable to USA Markets Only. Applicable for package reservations. Reservations with overlapping dates qualify; discount will apply for nights within travel window. Promotion is subject to change without prior notice. We reserve the right to discontinue this promotion at any time. All close-outs and inventory changes apply. Applicable to group bookings, without a group contract. Not applicable to reservations with employee rate, travel agent rate, FAMS, complimentary or compensatory stays. Promotion code MUST be reported at time of booking for reservation to be entered correctly in our system – Promotion will not be honored if promotion code is not reported.